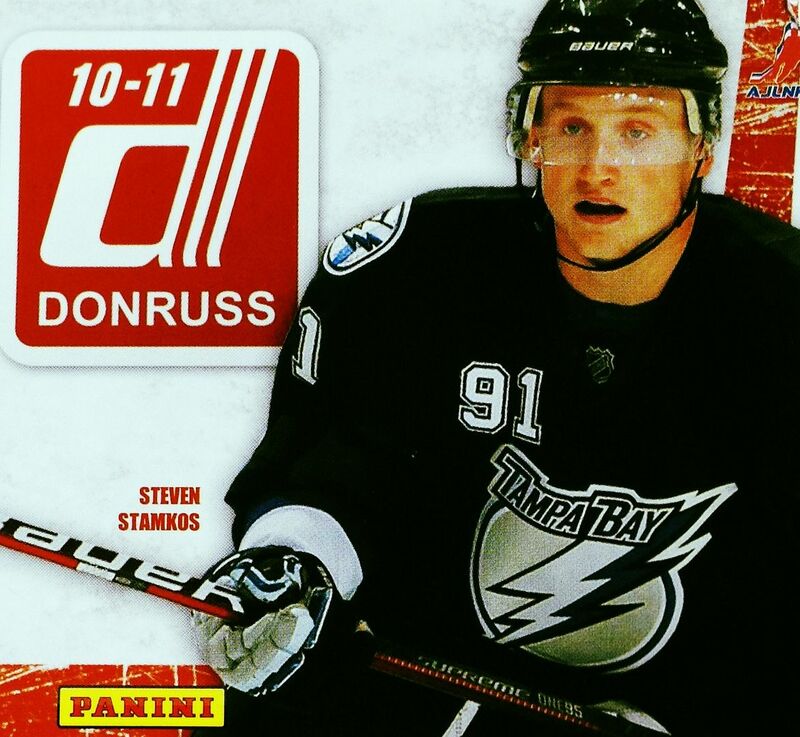 Here's a familiar product - Donruss! It wasn't too long ago that I broke one of these blasters on Retail Review... and here comes the second of three that you'll see me open. For some reason I thought that every blaster of Donruss would at least have a jersey card hit. That wasn't so with my last box, so I'm curious to see what will pop out of this one. I'm hoping for a hit! Donruss is definitely on the lower end of the spectrum in terms of big potential hits, but it can still be a fun break. Panini has loaded up Donruss with insert cards to chase that bring collectors back to the 90's era. Donruss is a fabulous set for younger collectors to chase as those inserts are fun to look at and easy to pull. Unlike higher-end products, Donruss boxes will yield a big stack of cards to look over and enjoy. Donruss can also be a product for advanced collectors too. There are definitely some difficult hits to pull out of the product. Chasing these tougher memorabilia and autographed cards would definitely present a fun challenge. It was that feeling as I kept going of... man... probably not going to get a hit in this one... and then after the last pack it was like... dang it! Oh well, so I guess not every blaster of Donruss has a hit in it as proven by my last two breaks. This box did contain four insert cards though. Three of the inserts show up in my top three cards, the fourth was a Willa Ford Fans of the Game insert. I'm not sure why, but when I get a fans of the game card, it's almost always of Willa Ford. What did Panini do, double print her? Or maybe she's just haunting my Donruss breaks. If so, the next one better be an auto! I guess the Rated Rookie cards are considered 'insert' cards as well as I did not receive any in this blaster. That's kind of sad. If I were a young collector trying to make the base set, I would hope to at least get one in a blaster. I remember my last blaster had three rookies... but no inserts. I guess the collation could have been better. At least in an Upper Deck Series 1 or 2 blaster collectors could look forward to two Young Gun cards. The Rated Rookies are no where near as popular as those, but they are a more difficult find when buying blasters - go figure! 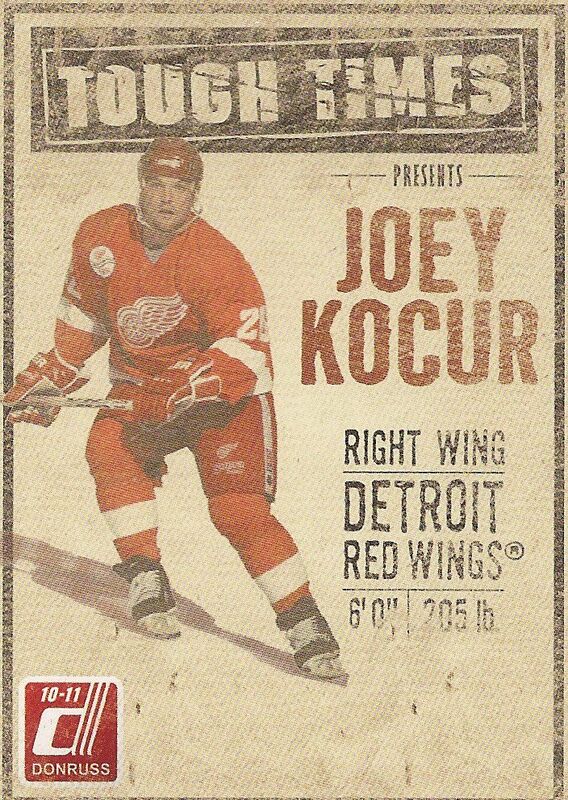 Don't really know the player and not a fan of the Winged Wheel... but Panini sure does know who design a sweet looking tough-guy insert set. These, along with the Pinnacle ones, look awesome! They have the perfect 'feel' for the tough theme. ITG came out with their Enforcers set a while back... I wish those cards looked like these. Ahhh, Panini and their acetate cards... they look good! I'm a big of using different materials to make cards special and unique. It's not just the acetate though, I love the use of the featured goalie's home language on the front. These cards might be low-value easy pulls, but this is the type of card that I think younger collectors could really get into. Heck, I'm into them! Though I didn't pull a jersey card, I still got one of the Boys of Winter inserts. Actually, looking at the card I feel that the card looks better without the circular swatch of jersey on it. 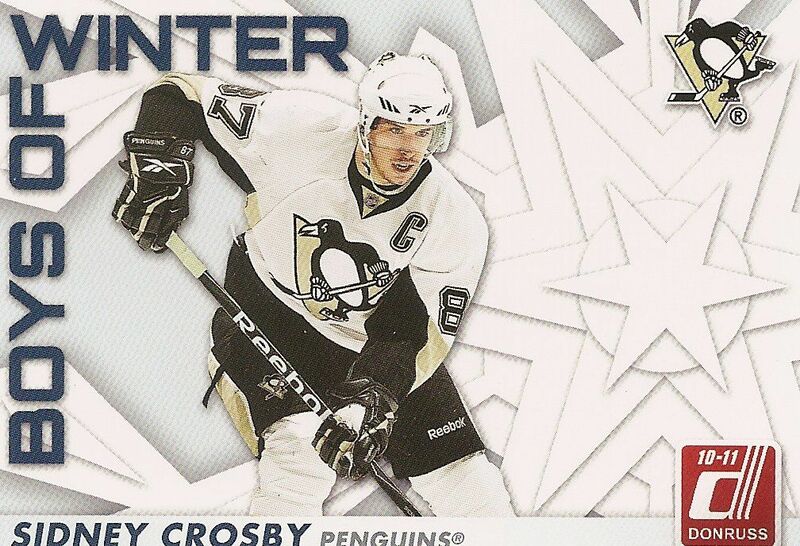 The star to the right of Crosby is where the swatch would be, however, the star graphic gives the impression of a snowflake... perfect for a winter themed insert card. Like I've been saying with all my lower-end blaster breaks... at this price point it's hard to go too wrong. If the intention is to have some fun and bust open some packs on the cheap, Donruss is a fine option to go with. Look forward to getting some nice insert cards and a big stack of base to check out. If you're lucky, a jersey or auto could potentially pop out. Let me know what you thought of my 10/11 Donruss blaster down in the comments below. What have you gotten out of these blasters? I'd love to know! 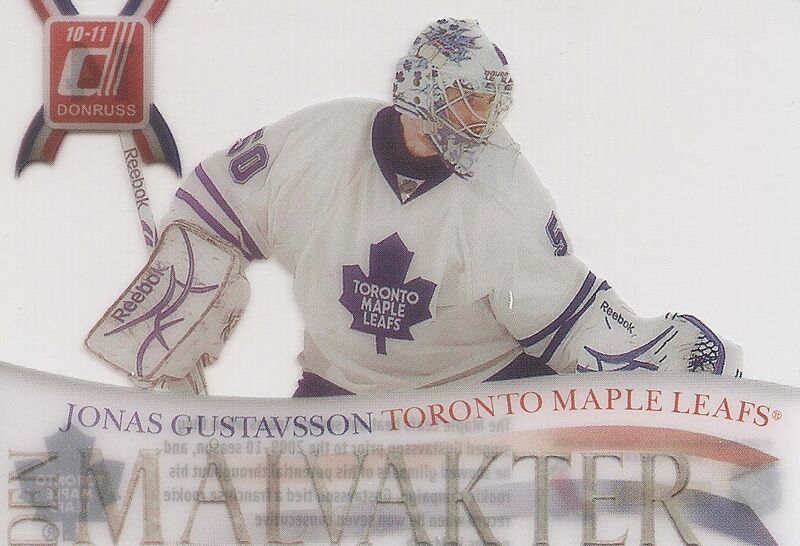 One funny (or actually not so funny) thing about those plastic cards is the spelling of "The goalies" in swedish. "Den malvakter" is actually pretty bad swedish, since it with a good spelling would be named "Målvakterna" or "De målvakterna". Just a small detail which actually makes it a very ugly set for a swedish collector like me. oh wow! nice catch! maybe panini needs to get a better translator! I personally got completely ripped off on this set, I only got one card, it was a Steve Ott tough times, so not really very good. and that was in a FUL blaster. factory sealed and all. Wait it was a north stars player Tough times and a Steve Ott boys of winter.